Pregnancy is a beautiful thing. You are doing the most amazing thing a woman’s body can possibly do. Unfortunately, it’s common to not always feel beautiful or amazing during pregnancy. This is due to a variety of factors such as morning sickness, weight gain, anxiety, and the fact that so many things are banned during pregnancy. 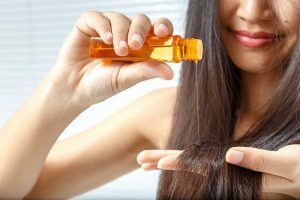 When it comes to beauty regiments, many hair and beauty products contain chemicals that could have an adverse effect on your growing child. 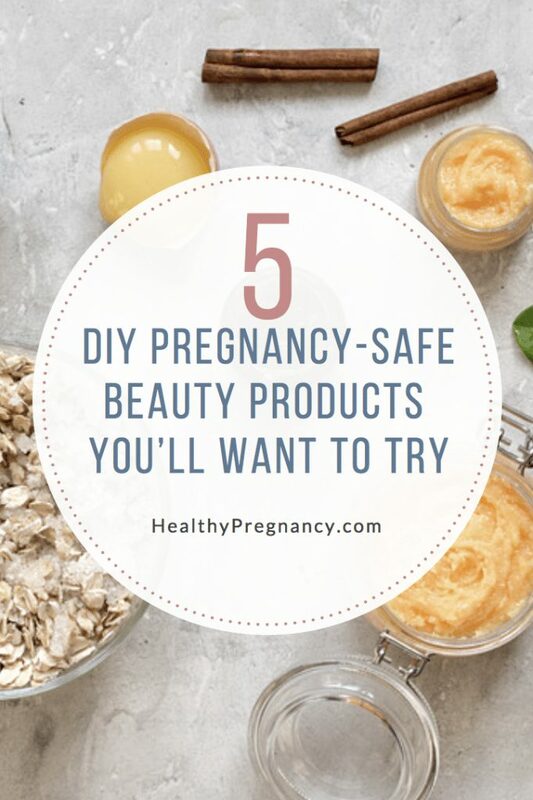 Because of this, do-it-yourself pregnancy products are the perfect solution to help you look and feel a little more beautiful and amazing, while keeping your precious one as safe as you can. As you blend and mix ingredients, you’ll know exactly what is going into each product, and the DYI process itself can be fun too. 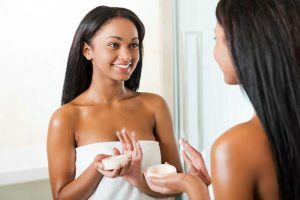 Here are five tried and true recipes for DYI pregnancy beauty remedies if you’re looking at straying away from the chemical based products in store. Make a completely natural facial treatment at home that will leave your skin soft and glowing without all the extra additives. To make an exfoliating face wash, mix two-parts raw honey to one-part sugar. Gently massage the mixture into your face, avoiding your eyes. Once you have finished, wash your face with warm water and pat it dry. The result will be clean, soft skin. Another bonus; the honey can help to treat any pesky blemishes that have appeared during your pregnancy. Hormones can give your hair a mind of its own. To smooth and condition your hair, there is a simple solution. You probably have the ingredients in your kitchen right now. Blend one banana and one avocado into a paste. Smooth the mixture onto your hair while it’s dry and allow it to sit for about 10 minutes. Shampoo your hair and then rinse with cool water. Your hair will be silky smooth, and the flyaways should be tamed. You can also use your fingers to gently massage a small bit of coconut oil into your hair, working through with a comb and letting it to soak in for thirty minutes or longer to nourish dry and damaged hair. Those dreaded stretch marks may haunt your dreams, but there are a few things you can do at home to avoid them. It is important to stay hydrated throughout your pregnancy to help your skin maintain its elasticity. A tried and true home remedy that is all natural is olive oil. Massage it gently into the areas where stretch marks typically occur: the belly, hips, and thighs. Adding a drop of essential oil, like lavender, can enhance the scent and relax you after a long day of baby growing. Many women experience skin issues ranging from dryness, eczema, and oiliness during pregnancy. Due to an increase in exhaustion, you can often make matters worse with poor sleeping schedules. Try an invigorating body scrub to help soothe your skin and give yourself a little pick me up. A simple but effective scrub can be made by mixing two tablespoons of used coffee grounds and four teaspoons of olive oil or coconut oil. The caffeine will help to smooth and tighten skin while invigorating you. While caffeine can be absorbed through the skin, the amounts can be minimal. If you are concerned about your caffeine intake or are looking to avoid the ingredient entirely, run this remedy by your obstetrician or midwife before using it, or switch out the coffee grounds for sugar or finely ground oats. Dry, chapped lips can be a problem as the seasons change. A great home remedy for soft lips is to make your own exfoliator. Mix one tablespoon of brown sugar with enough coconut oil to moisten the mix. Gently rub it onto your lips and then rinse them with warm water. Finish up with a bit of cocoa butter for soft, smooth, hydrated lips. Being pregnant does not have to mean giving up your beauty regimen completely. With DIY pregnancy beauty treatments, you can pamper yourself without worrying about what you are putting on your skin. So enjoy a creative process and indulge yourself!